In this 200-page volume, you will find comprehensive and objective analysis of the most debated reforms undertaken by the new Polish government during last year. Download the Ordo Iuris' Report for free! Since the parliamentary elections held in October 2015, the political situation in Poland has changed significantly. The voters gave a strong and unprecedented support to the conservative party (“Law and Justice”), which allowed it to govern alone. Within the next months, imprecise and oversimplified or even incorrect assertions about situation in Poland were disseminated by the media. In several cases such a misinformation appeared also in documents issued by the international institutions. 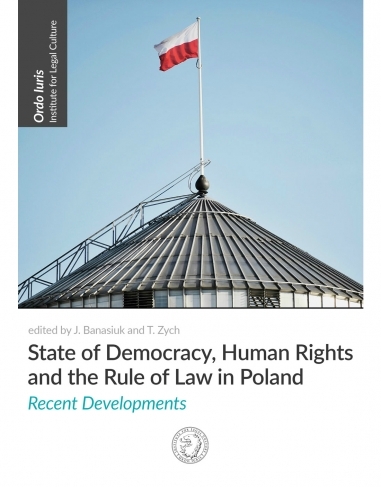 The Ordo Iuris’ report “State of democracy, Human Rights and the Rule of Law in Poland – Recent Developments” is aiming at providing reliable data allowing better-informed public debate. It’s a first English-language, fact-based and substantive legal analysis of the reforms introduced by the new government and it was reviewed by prominent American academics. We believe that evidence-based analysis will have a positive impact on the quality of the debate addressing recent developments in Poland. Help us providing reliable data on the recent Polish law reform! We would like to make this Report accessible to as many international institutions and scholars as possible. Your support will be of crucial importance to us!